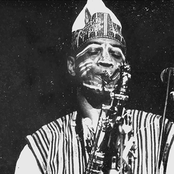 AACM and Art Ensemble of Chicago member Joseph Jarman has passed away at age 81. (Delmark). I regarded him as the most interesting member of the AEC. There was his philosophy, politics, appearance and more. In later years, there was his gradual transformation from the radical/theatrical to the calm Buddhist. R.I.P. JOSEPH. The memories will be there forever.